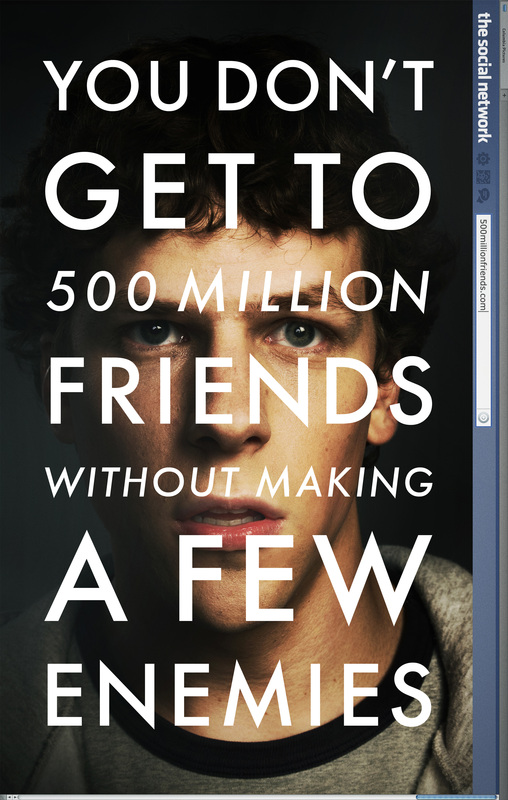 The Social Network has been one of the most keenly awaited movies of recent times not only because its supposed to be the “TRUE” story of Facebook but also because of its tagline – “You don’t get to 500 million friends without making a few enemies”. # Armie Hammer as Cameron Winklevoss/Tyler Winklevoss. Josh Pence acted as a body double for Hammer. The movie starts with Erica breaking up with Mark because of his nerdiness and poor attempts at getting into the different clubs at college. This leads to Mark getting drunk and sitting up that entire night in 2003 making a site called “FaceMash” by hacking into the entire system at Harvard and downloading the pictures of the girls in all the houses. FaceMash involves comparing photos females in groups of two according to their hotness and also comparing them with farm animals. In addition to this he blogs about Erica (obviously in a very nasty manner) on Live Journal; probably some sort of precursor to Blogger / WordPress. All this brought his image at Harvard down to zilch in addition to an enquiry by the Harvard Disciplinary Committee. To win back his image among everyone else, he came up with the idea of Facebook. But not before the Winklevoss brothers and Divya Narendra come to him with a request to develop the programming for Harvard Connection (A social network for all the individuals at Harvard – something like Facebook). After Zuckerberg initially agreed to work on it, he didn’t meet them for 42 days, after which he himself came up with a new website called –“thefacebook”. And then, there is also Eduardo Saverin, the co – founder of Facebook who from a level of 34% ownership is reduced to just 0.03% after Sean Parker (Founder of Napster) and other angel investors start coming in. The Social Network whether its true or not, I would like to believe its true from what I have read. And to tell you the truth, it is brilliant in its depiction of the web of deceit, manipulation and mind games that were played during the launch and formative years of a company which was to change the way people communicated with each other. The basic premise is about the two lawsuits filed against Zuckerberg – one each from the people behind Harvard Connection (later renamed ConnectU) and the other from Eduardo Saverin. But never does it seem to be a documentary. Instead it is more of a drama on how the business world really works out there. Jesse is fantastic in his portrayal of the techy, nerdy, shy Zuckerberg. Andrew Garfield matches Jesse in many parts and has done a really good job too. Sean Parker (Justin Timberlake) is apt for the flamboyance and extravagance of the character. The trio behind Facebook and the others support the movie really well. A 17 hr journey from Pune to Lucknow by BUS and Kingfisher Airlines = PATHETIC!!! 12th November – India release! its releasing in India on 12th November..I am sure you’ll get to watch it sometime..